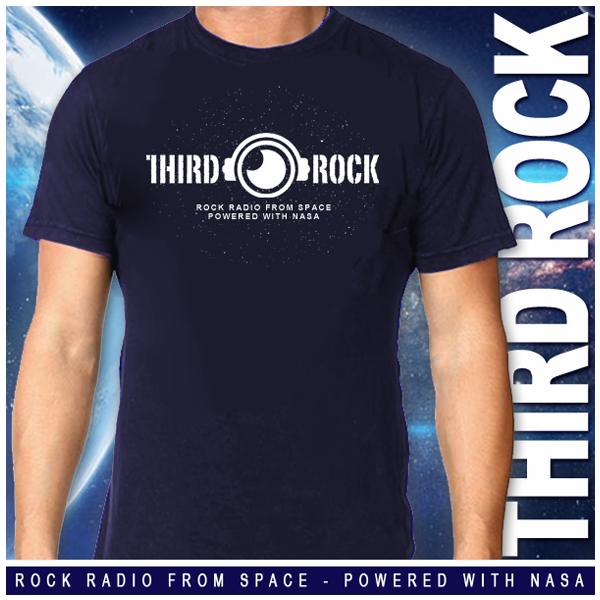 The Third Rock Radio Collector’s Edition Navy-T is here. You’ve been asking for shirts, so here they are! 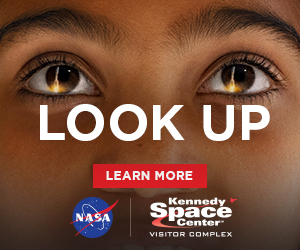 It’s the first ever look at what a Music Explorer might wear aboard America’s Space Station. Color: Navy Blue. More of a grayish dark blue, or a midnight navy. Women: S, M, L, XL – The women’s shirts are more fitted than the men’s. *Sorry no other sizes or colors are available at this time. *We ship orders as fast as we can based on product availability. From time to time we will run out of a size, and need to reprint, causing a slight delay in your order. If this occurs, hang in there, your order will arrive soon! We use PayPal to process credit card transactions. You don’t have a PayPal account? No problem! Select pay with debit or credit card when you are whisked away to the PayPal payment page. 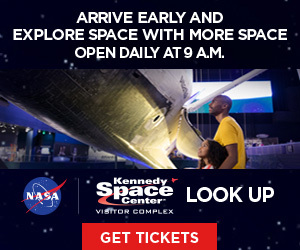 Let the word know that you support America’s Space Station by using science to attach our logo to any metallic surface. 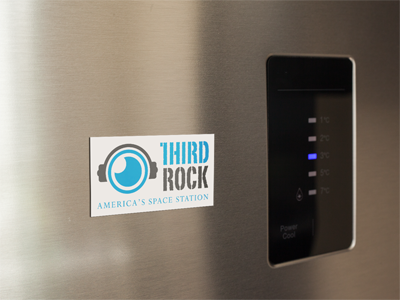 That’s right, Third Rock Radio magnets are finally available and ready to ship. They’re a standard 3″ X 1.5″, cost a meagre $6 and we’re picking up the shipping in the United States. Yup – FREE SHIPPING! International orders are just a flat $4.